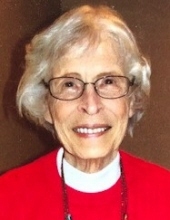 Doris Jean Hadley (nee Alberts), age 91, a resident of Naperville, IL since 1974, passed away on Tuesday, January 29, 2019 at her home. She was born January 25, 1928 in Kenosha, WI. Beloved wife of 50 years to the late Willard J. "Bill" Hadley III, whom she married July 29, 1950 and who preceded her in death on May 16, 2001, loving mother of Vicky (Bob) Zanillo of Geneva, IL, Bill (Denise) Hadley of Grosse Pointe, MI, Mary (Greg) Yezback of Harrison Township, MI and Pat (Kelly) Connell of Naperville, adored grandmother of Greg (Dawn) Yezbeck, Kim Granger, Jeff (Jennifer) Yezback, Amy (Paul) Graddon, Will (Shelby) Hadley, Wes (Crystal) Hadley, Mary Engfer and Dominic Hadley, cherished great-grandmother of Jackson, Jacob, Lily, Lauren, Jordyn, Taylor, Ethan, Jeffrey, Chloe, Drew, Jayden, Norah, Paige, Ellie, Rebecca, Conner and Willard, devoted daughter of the late Howard and Emily (nee Mortier), dear sister of the late June (the late Jim) Ellsworth, fond aunt, great-aunt and friend of many. Doris grew up in Kenosha, WI and was a 1946 graduate of Mary D. Bradford High School. She lived in Milwaukee, Whitefish Bay, WI, Glen Ellyn, IL and Grosse Pointe, MI before coming to Naperville in 1974. Doris was a longtime member of SS. Peter & Paul Catholic Church in Naperville. A loving and devoted homemaker, Doris enjoyed spending time with her family, making afghans for everyone, baking and gardening. Entombment: Assumption Cemetery, Wheaton, IL. To send flowers or a remembrance gift to the family of Doris Jean Hadley, please visit our Tribute Store. "Email Address" would like to share the life celebration of Doris Jean Hadley. Click on the "link" to go to share a favorite memory or leave a condolence message for the family.